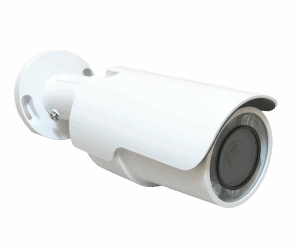 The CheckVideo 4 Megapixel Outdoor Bullet Camera (CV137) is a complete video security solution that greatly simplifies installation while providing superior protection compared to traditional closed-circuit television systems. With always-on analytics, built-in 24×7 video recording, and access to CheckVideo’s award-winning CloudVMS suite of online video management tools. The CV137 is a video security solution that provides superior protection compared to conventional CCTV systems. 24×7 video recording, no need for an external recorder. 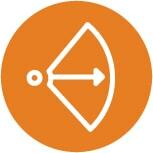 The CV137 camera can record and transmit video using less capacity reducing network/bandwidth costs. With low-light capability, PoE connectivity. and built-in digital I/O, the CV137 combines ease of use and flexibility. 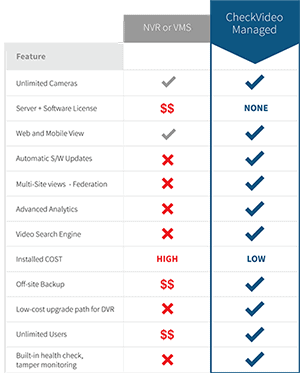 All CheckVideo solutions feature 100% Web-based video management functionality with no servers or software installation required.